The modeling of chloride ions into the concrete, and calcium ions out of the concrete (in leaching conditions) are the subjects of our modeling efforts. 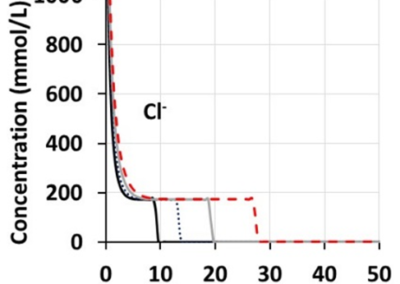 The presence of other ionic species in the pore solution influences the transport characteristics of the chloride ions. The Nernst-Planck equation is often used to describe the simultaneous electrodiffusion of multiple ionic species in solution. 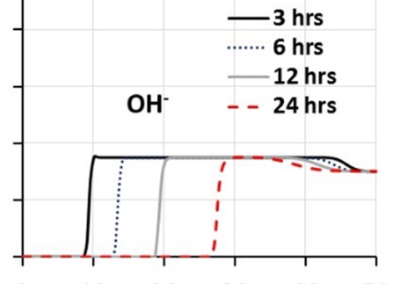 The evaluation of the electrical potential in the sample (for spatially varying electrical potential) requires application of the Poisson’s equation that relates electric potential and electrical charge due to the ions in the solution. Thus, Poisson’s equation is coupled with the Nernst-Planck equation to describe ion transport in concretes under an applied potential. 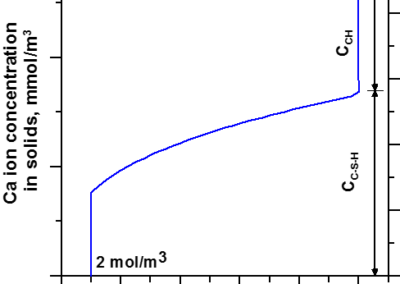 Finite element (FE) solution of the coupled Poisson-Nernst-Planck (PNP) equation is used to determine the concentration profiles of different ions as a function of time. 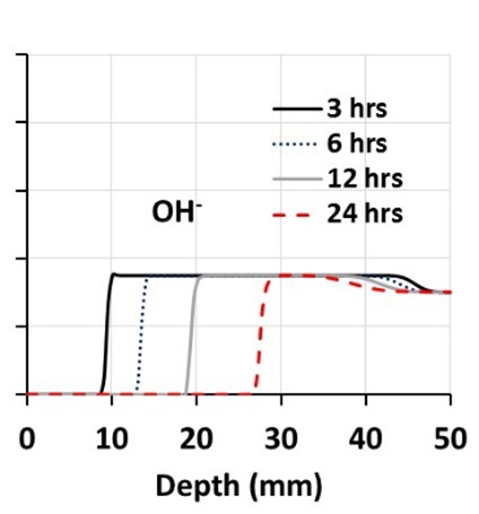 Porosity enhancement in pastes subjected to leaching is attributed both to the dissolution of calcium hydroxide (CH) as well as decalcification of C-S-H gel. 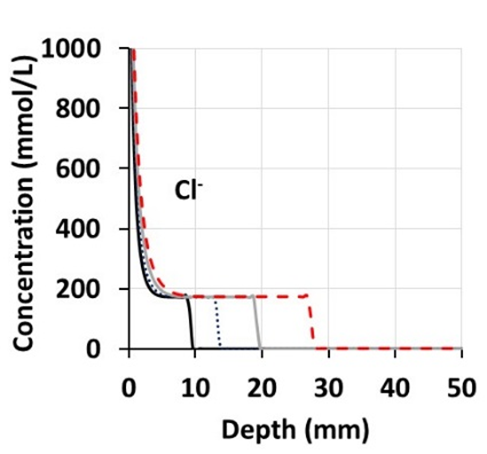 A methodology that combines the measured porosity increase along with the CH and C-S-H contents remaining after leaching for a particular duration is used to separate the porosities created due to CH and C-S-H leaching. 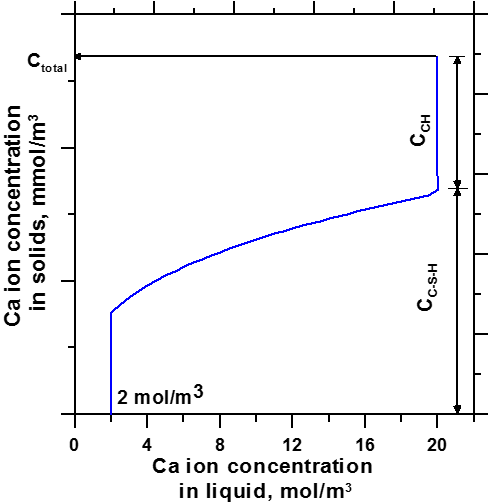 In order to quantify the influence of leaching on the amounts of Ca ions remaining in the CH and C-S-H phases, solid-liquid equilibrium curves for calcium are developed for the unleached and leached pastes. Leaching depths are also calculated using the CH contents of the leached and unleached specimens.